How do you define heavy? Is it something you absolutely cannot lift? Do you have a limit to your lifting capabilities? This is probably the reason why most people don’t get rid of heavy yard debris. It might be easy to move a couple of feet but lifting and loading it onto a truck is out of the question without help. Of course, you also need the truck! If you need to get rid of heavy yard debris, then the best approach is to hire Junk King Fort Lauderdale. Heavy yard debris can come in many forms. The most common here in Florida would be fallen palm fronds. Actually, they’re not heavy as much as they are hard to maneuver around without breaking them into pieces. They could also be some items that weren’t dropped in due to a storm. Patio furniture, lawnmowers, grills and planters are all things that would certainly qualify as heavy and needing help to get rid of. Junk King Fort Lauderdale provides the help in the form of a pair of very capable movers. This is a team that has a lot of experience lifting heavy objects. They know how to avoid back strain. You should never feel guilty about asking them to remove anything even something as big as a backyard hot tub. Once all the heavy yard debris is loaded onto the Junk King truck, they can set their attention to getting rid of all the stuff from the inside of your house. You might have a heavy futon, bedroom set or baby crib that you want to remove to make room. That can all be cleared in the same exact session. A lot of the heavy yard debris collected by Junk King Fort Lauderdale might actually be able to be recycled. 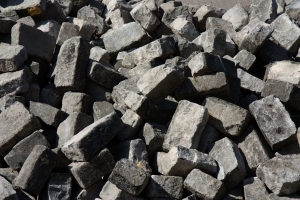 Even things like chunks of concrete or bricks can be ground up and made into new materials. Junk King does do the actual recycling work but they can make sure that those items find their way to the right facility. Your back will never be at risk removing heavy yard debris when you’ve got Junk King Fort Lauderdale on the job. This entry was posted in Fort Lauderdale Yard Waste Removal and tagged heavy yard debris, jjunk King, junk removal on November 30, 2017 by Junk King. Last updated December 2, 2017 .